This competition is not open to employees, employees of agencies of OPRO or anyone else connected to the Competition. The competition opens on Monday 29th October 10AM and closes Wednesday October 31st Midnight. Entries after this date will not be considered. To enter, applicants must like our competition post on one of our social channels and tag three additional social users from that platform in a comment on the post. Whilst there may be multiple posts about the competition, the entrance requirement only needs to be fulfilled on one. There will be 6 winners in total. Winners will be announced on November 1st. The winners will receive one Limited Edition Halloween Power-Fit Mouthuard. 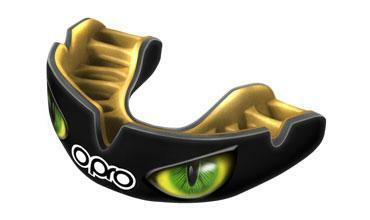 The Mouthguard cannot be refunded or switched for an alternative cash prize, and is subject to availability.